Hello friends! 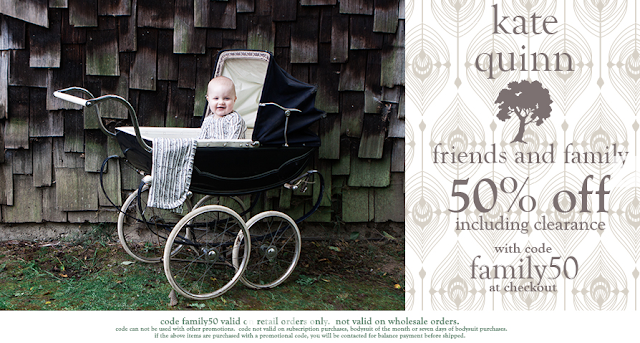 Head to Kate Quinn Organics for an amazing friends and family sale. Everything on their site - including clearance - is 50% off. Use code "family50" during check out. Happy shopping!